The rains are finally here and the days are suddenly about lazy mornings spent in bed with a steaming cuppa. If only the bliss of doing nothing could be stretched for hours on end. Thata��s where the spas in the city are stepping up. 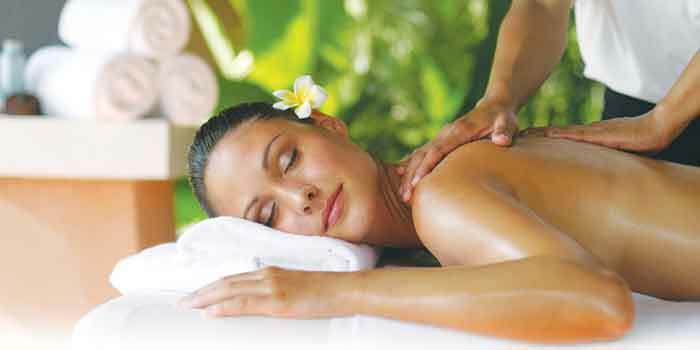 Their special day and weekend packages are all about relaxation and pampering, with nourishment added to the package. All you need to do is get yourself there. Head over to this charming beach resort by the Bay of Bengal for a day of indulgence at the Jiva Spa, renowned for its all-natural spa therapies. You can start off with an endorphin-boost, working out at their gym. Follow it up with a dip in the pool and a nutritious spa meal at Seagull, the all-day diner. Expect healthy options like a watermelon and Greek feta salad with Andalusian gazpacho and pan seared snapper fillets with haricot verte (choose from Western, Oriental and Indian menus). Then unwind with an aromatherapy session or a Jiva signature facial, andA� a stroll on their private beach. The offer is available Mondays through Thursdays. They have a special suite offera��which includes airport transfers, an elaborate buffet breakfast and dinner at the coffee shop. Their spa offer is simple and sweeta��start off with some alone time in the steam room or Jacuzzi and then lie back for a Swedish massage. This is the package that excites us the most. Get an early start and hit the hotela��s fitness centre at 8 am. After an houra��s work out, breakfast at the Spice Haat before relaxing at the poolside. 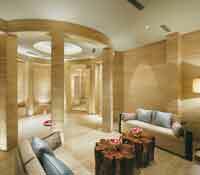 Then head to the spa for a 60-minute massage (try Urja, their deep tissue massage), followed by a 60-minute body scrub (we like the Sesame suwasik and the Lemon mriduu). Take your time over lunch, sampling their extensive multi-cuisine buffet, before indulging in an hour-long facial. But it doesna��t end therea��you can still spend some time in the sauna or whirlpool. And before you head home, have a cup of tea at the lobby lounge or by the pool. Didna��t we say we saved the best for last? With its six-hour package that takes care of you from head to toe, therea��s no place better to get buffed and beautiful in the heart of the city. Put up your feet and let the therapists rub the strain away as part of their foot reflexology treatment and then follow it up with a manicure and pedicure. To mix things up, go for a dip in the pool or for some a�?hot treatmenta�� in their steam room. Grab a bite at the lunch buffet at Oasis, their global cuisine restaurant, before heading back for your second sessiona��a hair spa and their popular oil massage, a favourite with executives. 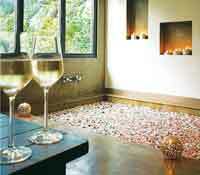 Choose from Thai, Balinese, Swedish or the Chakra special treatments.